Well the Proteas are battling India in a test series that is almost as long as the IPL, the more pertinent competition is taking place around South Africa. 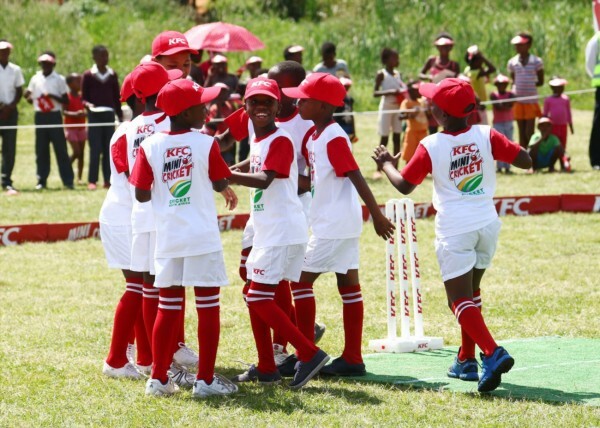 It’s the annual KFC Mini-Cricket kids vs. Proteas tour with the second game taking place this week in Umlazi. A quick reminder that the opening game of the series went to the KFC Mini-Cricket kids in a KP-like bashing. With that in mind the Proteas called on some of their big guns who were back from India. That lot included Farhaan Behardien, David Miller, Khaya Zondo and Morne van Wyk. The Proteas players were always under pressure but brilliant batting from Denisha Devnarain and Farhaan Behardien helped the Proteas score 48. Minenhle Notbela was the kids best bowler taking 2/3 in his over. 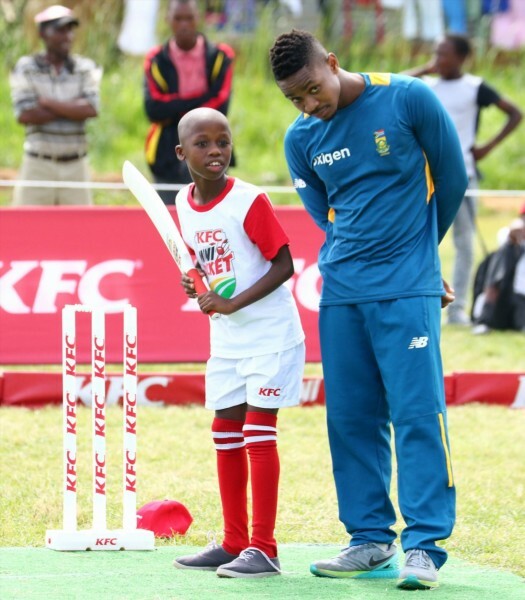 The Proteas bowlers returned the favour and put the KFC Mini-Cricket kids under a lot of pressure. The KFC Mini-Cricket kids managed to score 48 runs in their 8 overs and tie the game thanks to 12 runs from Minenhle Ntobela. ITS GOING TO A SUPER OVER!!! The tension could be cut with a knife, but no one had one and as a result commentator Neil Johnston lost a little bit more hair. This was just for the toss. The KFC Mini-cricket kids decided to bat first and put on an imposing 11 runs with a mixture of finesse, strength and Morne van Wyk’s fielding. The Proteas would face a daunting challenge and would find themselves short of the target in dramatic scenes that had a touch of 1999 about it, except I never kicked a heater and broke my toe this time round. The Proteas finished on 8 runs and had tasted a second defeat in the series. They now trail 2-0 with ego’s bruised and hearts hurting. The man of the match was obviously the phenomenal Minenhle Ntobela thanks to his 12 runs and his 2 wickets for 3 runs. The Unlimited Titans are rumoured to be lining up a move for Minenhle to give Quinton de Kock a friend. Massive news indeed. The next match of the biggest tour in South African cricket will take place in Mid January where the Proteas will be desperate to close the gap in the epic series!